It's been a bit of a journey, involving both the old Avondale Community Board and the newer Whau Local Board, stretching back to 2004 in one case, but -- now officially two of the local reserves have been renamed. The saga of Gittos Domain (formerly Avondale South Domain) began when after informal discussions between Avondale-Waterview Historical Society and Blockhouse Bay Historical Society, AWHS went ahead and wrote a supporting letter to the Avondale Community Board recommending the name change in June 2004. "It has come to the notice of the Avondale-Waterview Historical Society that the Blockhouse Bay Historical Group are about to apply to the Avondale Community Board to begin the process of renaming the Avondale South Domain, and will be offering the suggestion of “Gittos Domain”. This is to advise the Board that this proposal and the suggested name has the complete support and backing of our Society, as resolved at our latest meeting on the 5th of June this year. "To recognise Blockhouse Bay settler Mr. Francis Gittos and his family in this way has importance beyond the obvious one to the Bay, that of recognition of a family who had done much to help assist the community in which they lived and create lasting landmarks there. Francis Gittos made his mark in Avondale, too, while his family had an influence that extended beyond the boundaries of our city. The Gittos family came to New Zealand in 1841, settling initially in the Hokianga where Francis was born in 1843. They moved to Auckland in 1846, and here Francis’ father Benjamin was a teacher, shoemaker, and ultimately by 1857 a leather and grindery merchant, establishing a tannery in the Whau (Avondale) district in 1864-65 in the area presently at the corner of New North and Blockhouse Bay Roads, including Tait and Trent Street, and extending nearly to Pak n’ Save supermarket, Mt Albert. This was one of Avondale’s earliest industries and employers, having a staff at one time of up to 60, and lasting here until 1884. "Francis worked for his father at the tannery (the Gittos family today consider that he may have been a salesman for the firm). In November 1867, Francis Gittos, then a member of the Whau Public Hall committee, proposed that "the members of the Committee procure as many books as possible for the formation of a library for the Hall," and thus started the idea of libraries in this district which continues on with our present day Community Libraries at Avondale and Blockhouse Bay. Francis Gittos was also a landowner in this area at that time, and served on the Whau Highway District Board, his farm in the vicinity of the present day Avondale Baptist Church. In 1874, he left the district for a time, but had returned by the early 1880s, buying land on Rosebank Peninsula and setting up a small tannery on the northern side. He came to live in Blockhouse Bay, near the corner of Donovan Street and Blockhouse Bay Roads ... and on 14th June 1890 leased from the Crown the Recreation Reserve in Avondale South (now the Avondale South Domain). "There, he started another small tannery, beside one of the small creeks that ran across present day Lewis Street (I understand from Ray Kealey of the Blockhouse Bay History Group that Lewis Street was once called Gittos Street). He remained in Blockhouse Bay, as a tanner and settler, until 1920, and died in Mt Eden in 1924. Francis Gittos and his family in Blockhouse Bay helped raise funds for the building of the Chapel of the Good Shepherd (today located at MOTAT), the St Andrew's Church hall, and the Green Bay Mission Hall (later the lounge of the Blockhouse Bay Baptist Church. The tall, old pines that are a well-known and easily sighted landmark in Blockhouse Bay town are associated with Francis Gittos, and believed to have been planted by him. "The Gittos family have been commemorated twice by the naming of streets in Auckland: Gittos Street in Blockhouse Bay (after Francis Gittos), and Gittos Road in Parnell (now Parnell Rise). This latter commemoration was in honour of Francis' brother, the Rev. 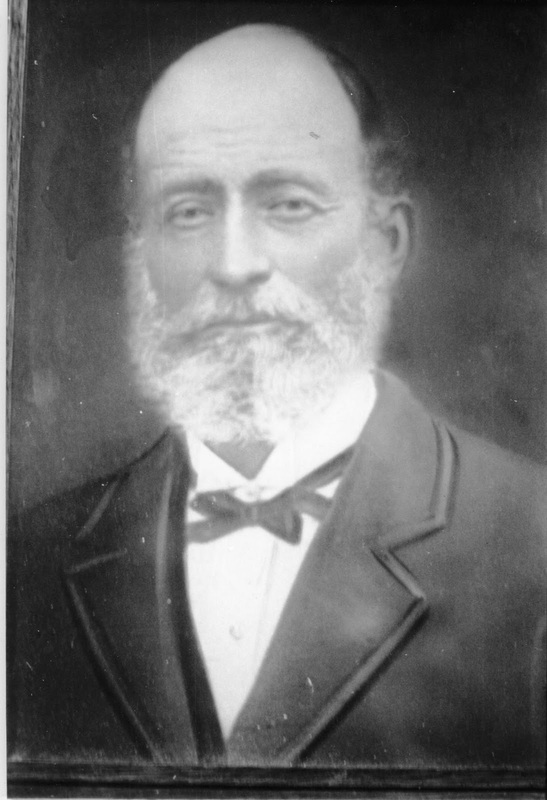 William Gittos, a pioneer Wesleyan Methodist missionary and influential figure in the greater Auckland region. Both commemorations of this pioneer family have been lost to time. Therefore, in the interests of recognition of the contribution this family has made to the history and the making of the Avondale and Blockhouse Bay districts, the Avondale-Waterview Historical Society urge the Avondale Community Board and Auckland City Council to seriously and positively consider renaming the Avondale South Domain in honour of Mr. Francis Gittos and his hard working family"
New name tacked onto an old sign (down below, it still refers to Avondale South Domain), but this is still a victory. In 2009, the Avondale Community Board agreed to the namke change -- but then things went slightly astray. In the middle of last year, I approached the Whau Local Board both for this renaming ... and another at New Windsor Reserve. In 2010, just before the end of Auckland City Council and the Avondale Community Board, Don Currey, son of Arthur Currey, a former landowner, wrote to the Board suggesting that reserve be so renamed as well. AWHS again supported this. But ... nothing had happened by the middle of last year. After I approached the Whau Local Board, however, things moved. The Aucklander took an interest. And now -- a new sign. Wish someone would have been kind enough to let our Society know about the installation, but -- at least there it is.